Order in the next 48 minutes and it will ship today! 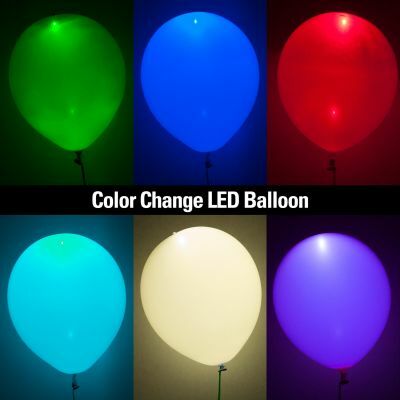 A pack of 5 12-inch balloons with a 3-mode, color-changing LED light inside. Press the button on top to toggle between flashing white or a colorful display that cycles between flashing red, green, blue, purple, aqua, and white!